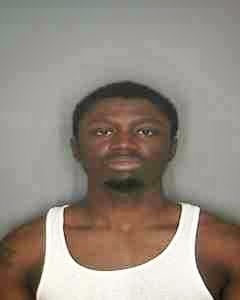 Following a joint investigation with the New York State Police Community Narcotics Enforcement Team (CNET), the Cobleskill Police Department Friday announced the arrest of Tahshiem M. Green, 24, of Cobleskill on two counts of the Criminal Sale of Controlled Substance in the Third Degree, class B Felonies. It was discovered over the course of an on-going investigation that Green was allegedly involved in the sale and possession of Heroin. The information was developed by law enforcement officers and led to two separate purchases of the illegal substance from the suspect in Cobleskill. Green was arraigned in the Town of Cobleskill Court and was remanded to the Schoharie County Correctional Facility on $15,000.00 cash bail or $30,000.00 bond. The suspect is to return to Town of Cobleskill Court on May 20th at 4:00 pm for further action.